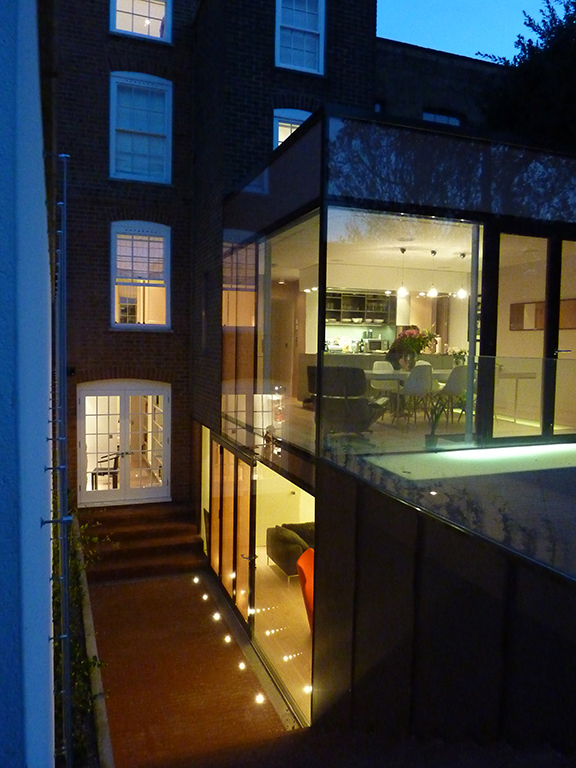 This extension and remodeling of a Grade II listed Georgian townhouse rejects a traditional brick extension in favour of a more contemporary design, thereby allowing the extension to read clearly as a separate yet sympathetic addition. 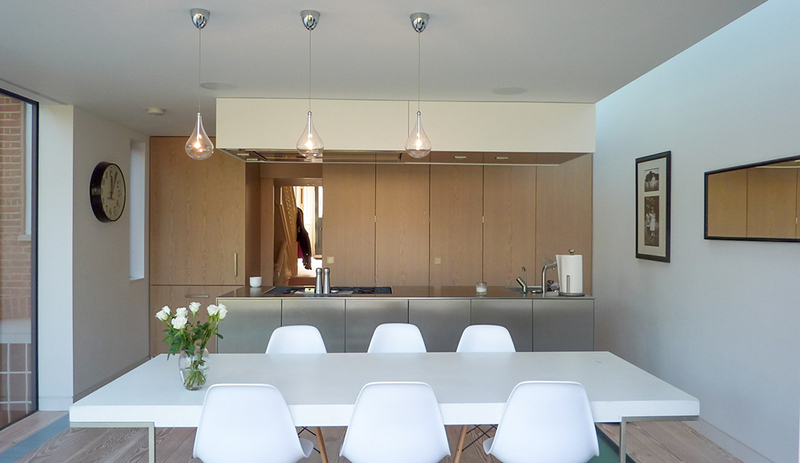 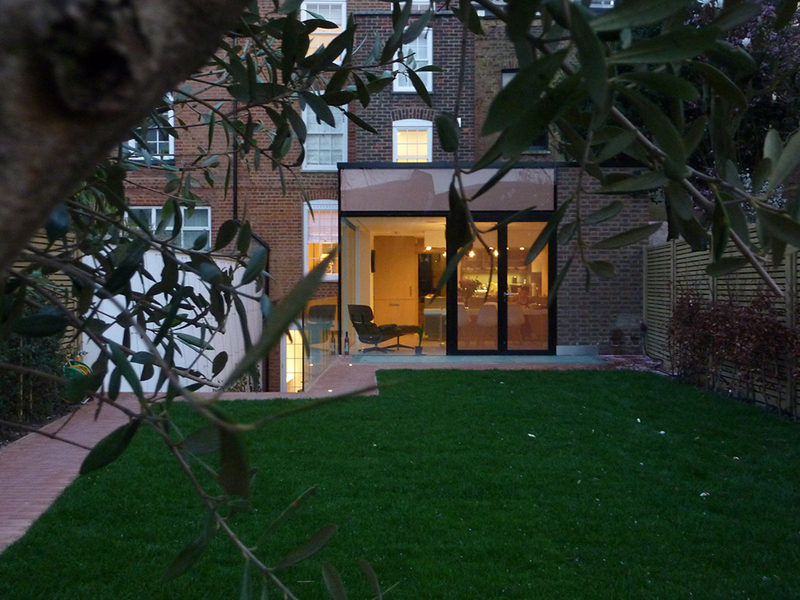 At ground floor level, a spacious kitchen and dining area enjoys uninterrupted views into the garden. 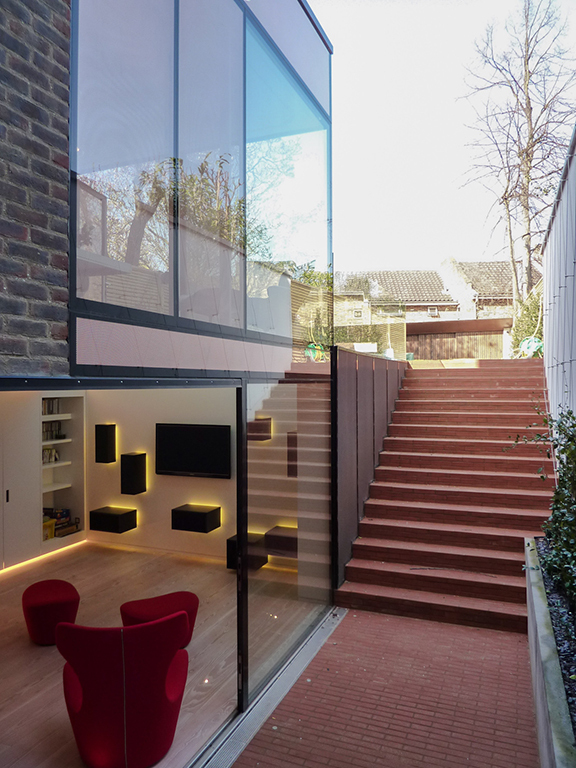 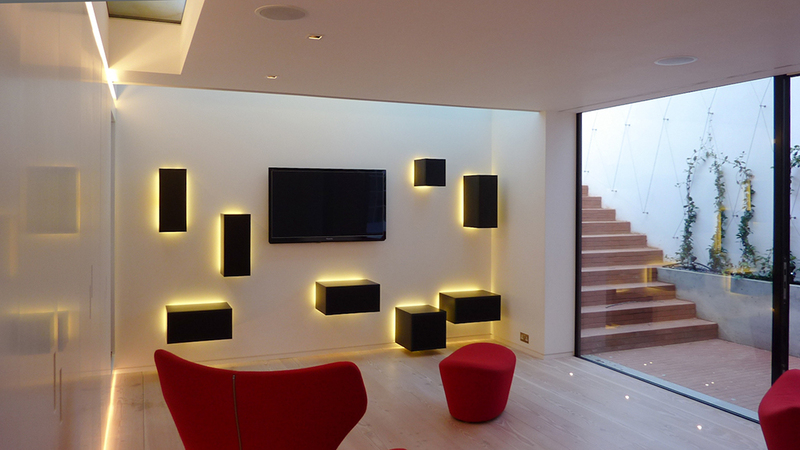 Below, a cramped cellar has been enlarged to create a high-spec family room and office space alongside a new garden terrace. 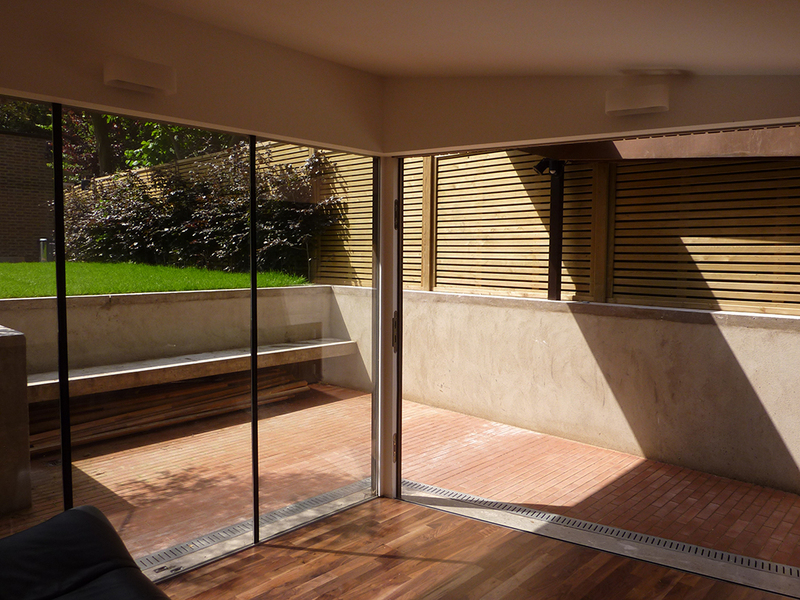 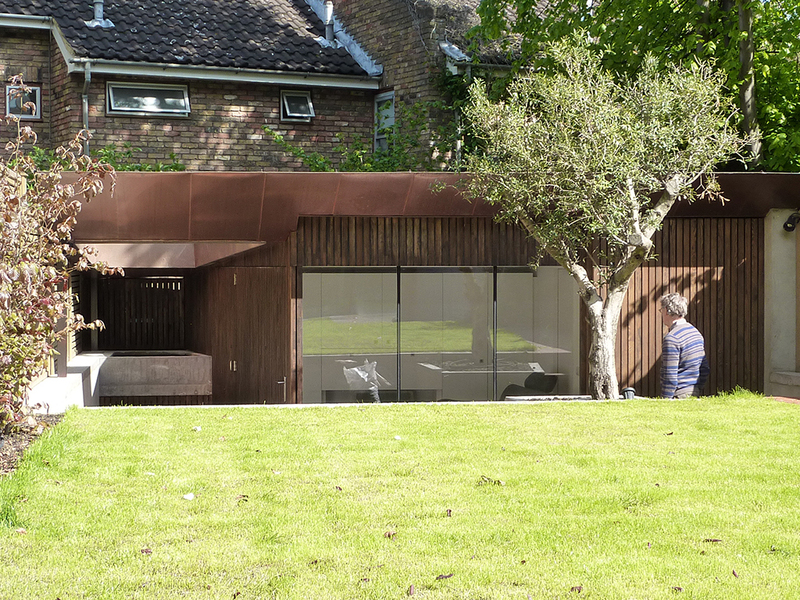 The “glazed box” approach plays with the character of the extension: a copper mesh placed within the glazing units lends it an orange-brown tint, referencing not only the red brick of the original house but also the copper eaves of a new garden pavilion. 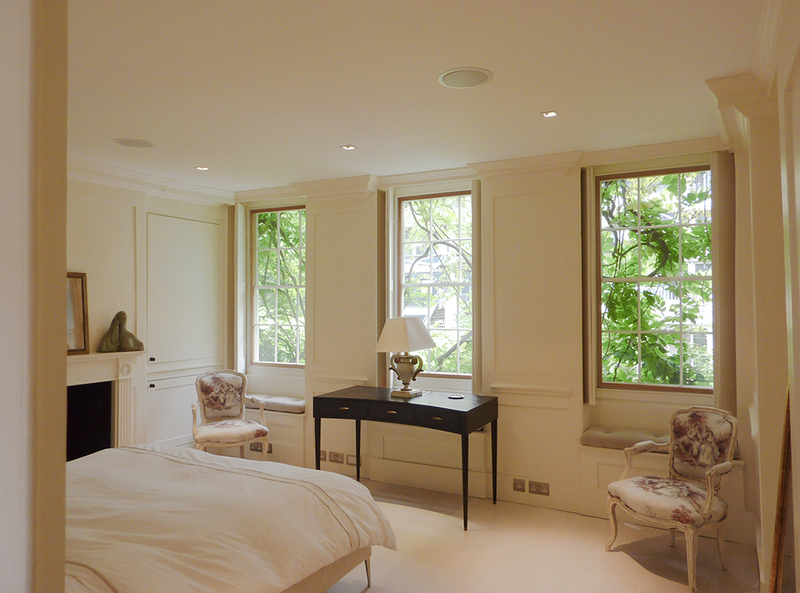 Elsewhere we restored, redecorated and updated existing spaces. 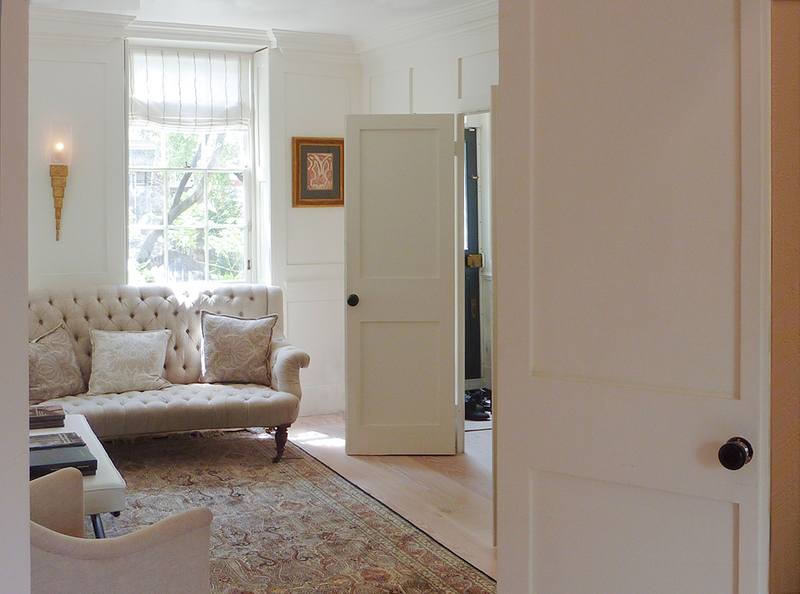 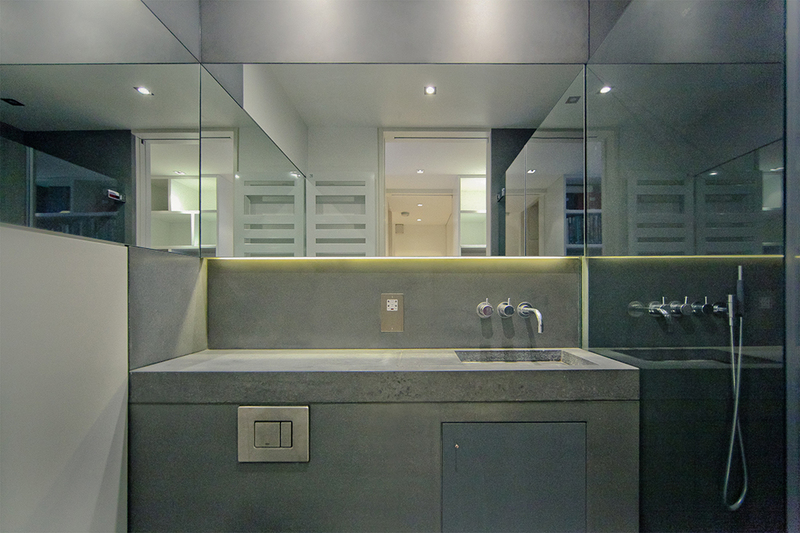 Timber panelling was restored, contemporary fixtures and fittings sensitively introduced, and spaces opened up to create a more liveable environment.